Having a dream and working toward it. Most of you have probably heard of Messianic Jewish author David H. Stern. He and his wife, Martha, have been personal friends of mine for many years. 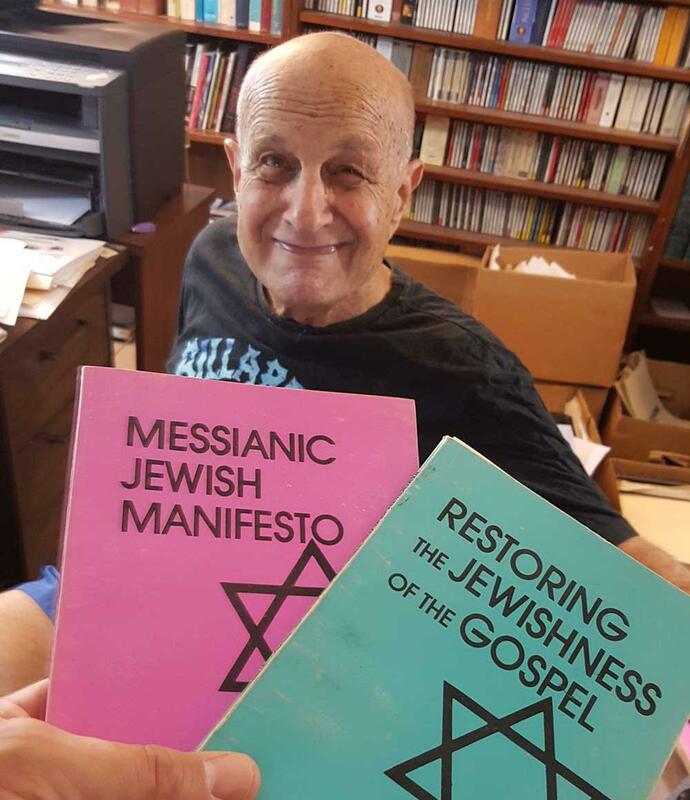 I have always appreciated his pioneering work—Messianic Jewish Manifesto and Restoring the Jewishness of the Gospel, among his other works, are like foundation stones in the Messianic Jewish movement. Current plans: To study Judaism, probably at the University of Judaism in Hollywood. Later to study in Israel … More distant plans: To write on Messianic Judaism especially programmatics and theology. And, hopefully, to be involved in Messianic Jewish life, shaping and contributing to its future success. I do very much hope to be able to contribute, through writing, to the development of Messianic Judaism. Toward this end I studied two years at a Christian seminary, and I intend to spend the next year or two studying at comparable Jewish institutions and gaining practical experience and contacts. While David is much older now, and certainly more frail, his mind is still sharp. He has transitioned to a new phase of life; he is currently enjoying his grandchildren, as well as the sweet fellowship of many friends from around the world that have been affected by his work. David remains full of life and knowledge, and still possesses a strong and clear vision for the future of the Messianic Jewish movement. David in his home office on "book-moving" day. Several months ago David and Martha moved into a smaller apartment here in Jerusalem. As part of their move, they were forced to downsize substantially, and needed a safe place for some of David’s most treasured possessions—his thousands of books. For some reason David found me worthy of his trust, and decided to give our learning center in Jerusalem (a work of First Fruits of Zion) his friends, his teachers—his books. This is a heavy gift to bear—one that we take very seriously. Despite the joy I felt at receiving this gift, the day of the move was tinged with sadness. David sat quietly and watched as we moved box after box of books from his library. On occasion I would hand him some obscure title, a book I was not familiar with, and ask him to tell me about its content and history. “David, tell me about this book. Why did you find it valuable?” Without pause David would light up and begin to express what he learned from the given work, why it was important to him, and whether or not it would be useful in our developing library. I spent the day soaked with sweat and exhausted from schlepping box after box, but I nevertheless greatly enjoyed interacting with David, and learning from him once again. As we filled the shelves of The Bram Center with his books here in Jerusalem, I would take a quick picture every so often and send it to Martha to share with David. I wanted to make sure he knew that we will be taking good care of his precious friends. But I am sure David will appreciate even more the fact that his books are now being used to promote and facilitate Messianic Jewish learning, and the continued development of the movement. 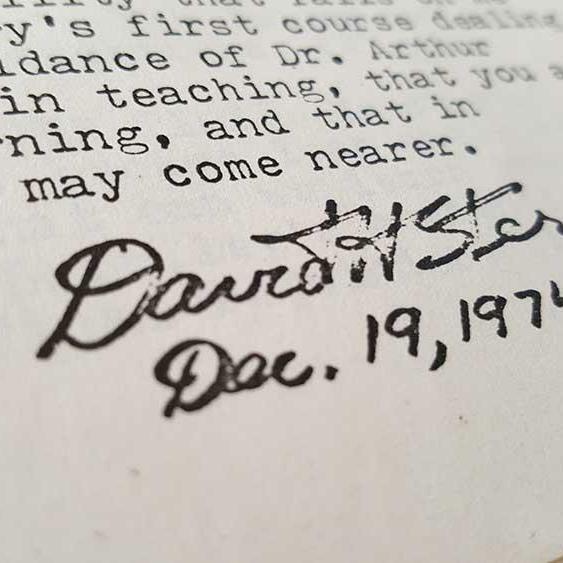 David, as we all know, provided a spark that lit a still-growing fire in today’s Christian and Messianic Jewish world—his desire from the outset was to be used by God to “…contribute, through writing, to the development of Messianic Judaism,” which he most certainly did. However, he has taught us all perhaps a more important lesson through the example of his steadfastness and consistency, through showing us what it looks like to have a dream and to work toward it. 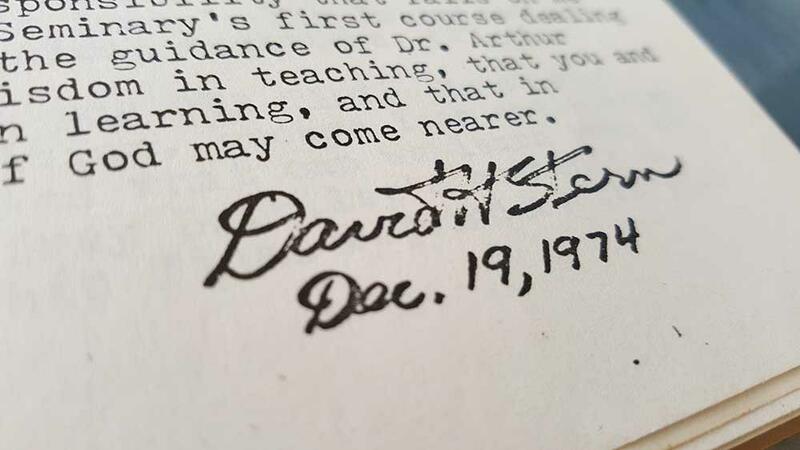 I will share more from David’s library, his developmental notes, and his influencers as time allows, but in the meantime, you are always welcome to come study with David at The Bram Center by opening one of his many books and gleaning from its wisdom. To learn more about The Bram Center for Messianic Jewish Learning in Jerusalem, and to partner with our efforts and mission, please go to the website and review our communications on The Bram Center.